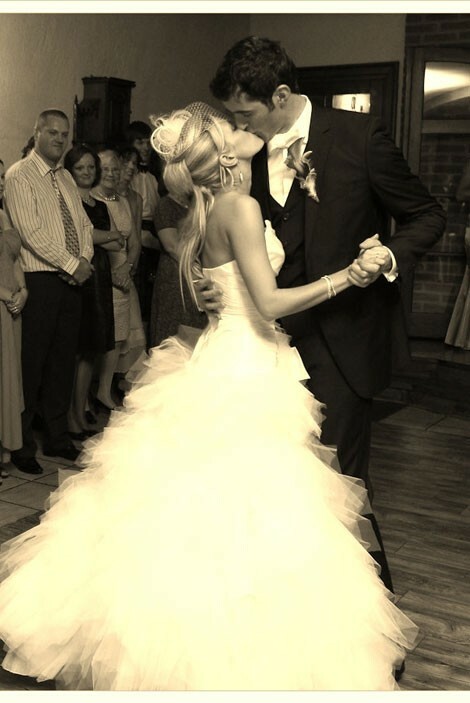 Learn your first dance for your wedding with confidence! Learn a slow foxtrot, slow waltz or a foot tapping jive or quickstep! Under Michelle's excellent dance instruction. Private lessons catered for your wedding needs. 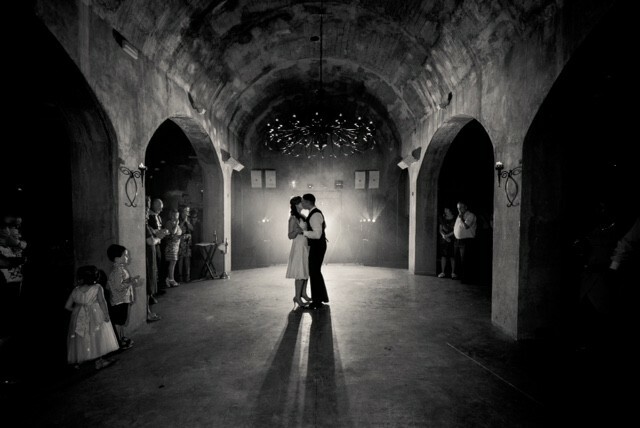 If you have never danced before learn for your special day. Dances will be choreographed to couples choice of song. 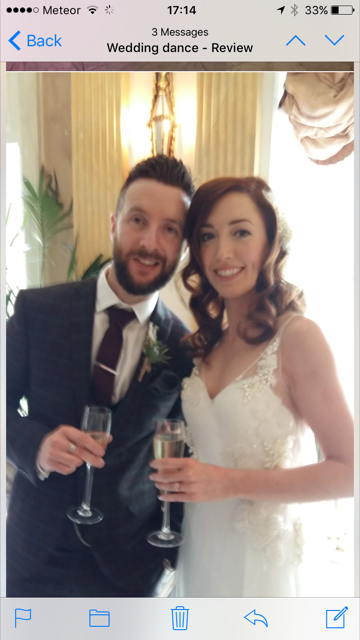 Based in South County Dublin, you do need to come to us but many couples have travelled from far and wide and were absolutely delighted as our reviews clearly show. Get in touch, you won't regret it! Tel - Michelle Alonzi A.I.B.B.D, I.A.D.T. and also U.K.A. 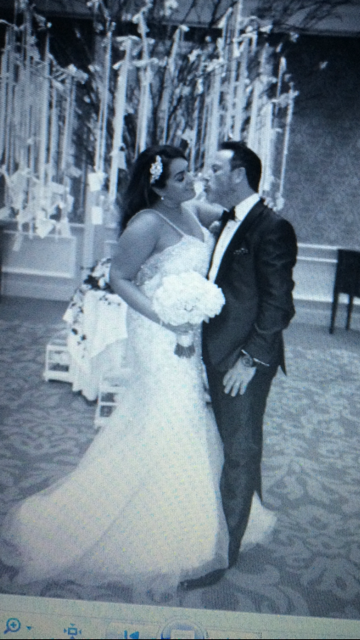 We chose Michelle based on good reviews from this site and were delighted with the service she provided. 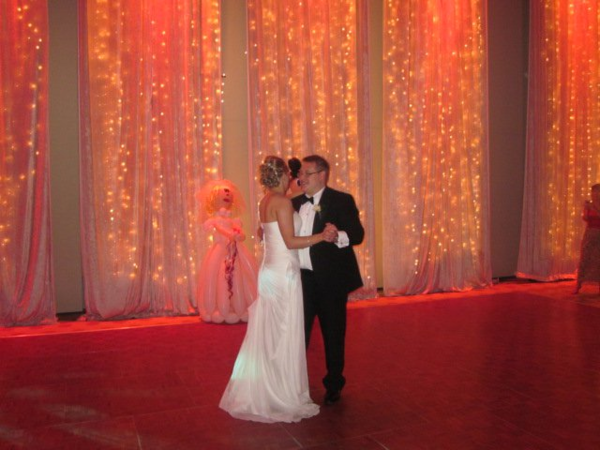 The first dance routine she choreographed for us was perfectly suited for the song we had chosen yet simple enough for us to learn and remember on the day. Our lessons with Michelle were always great fun with lots of laughing and craic! Michelle is a very patient teacher and her instruction style is both gentle and encouraging. 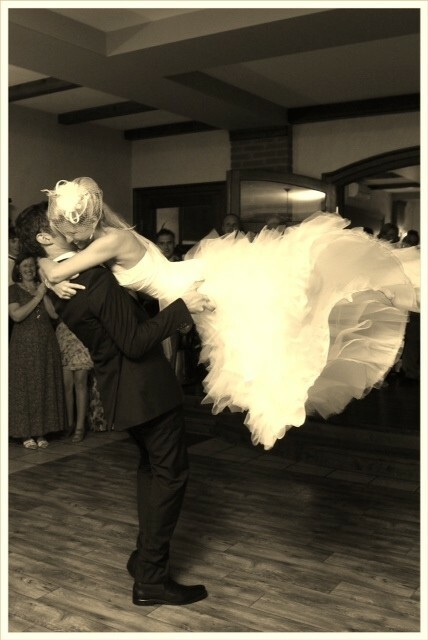 I would have no hesitation in recommending Michelle to other couples seeking first dance lessons. Hi Michelle, Thank you so much for the dance lessons. It all went great on the night! 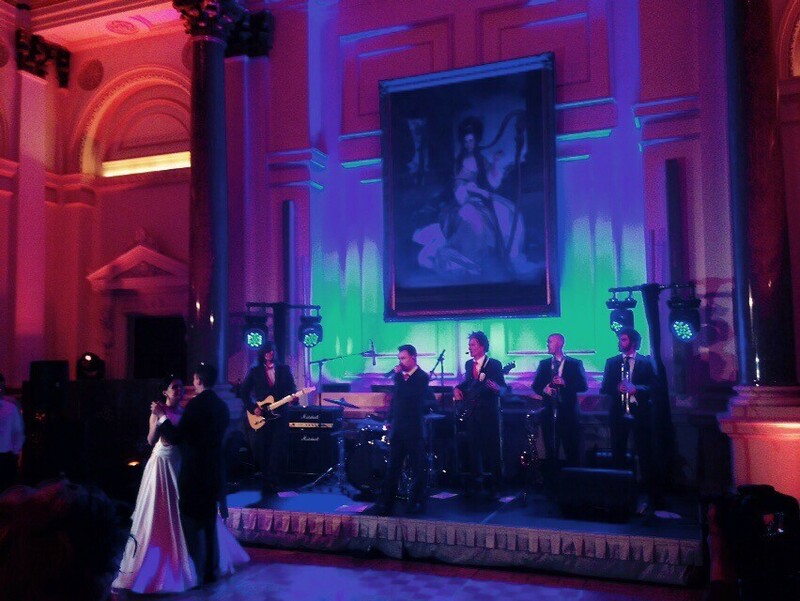 "Thank you once again for your great help in making our first dance really special!" 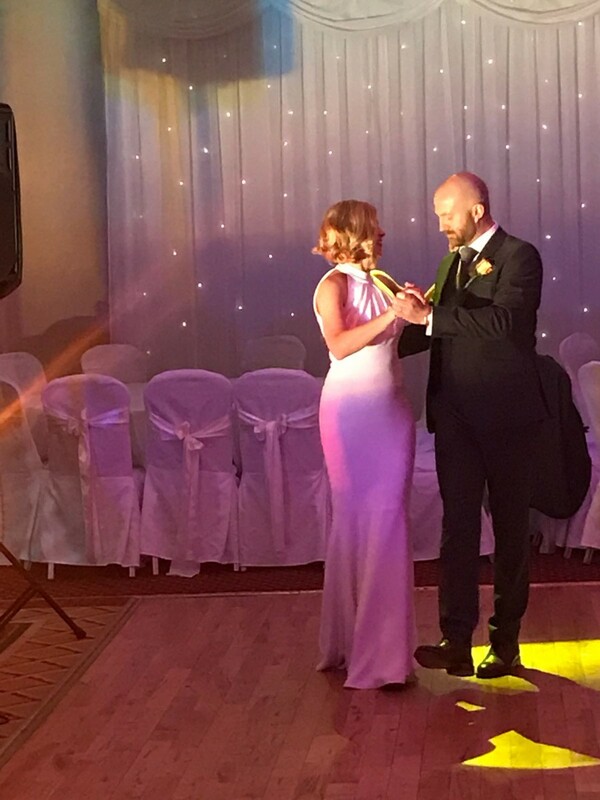 " We just wanted to write to you and thank you again for all your time and assistance in helping us to prepare for our first dance. We're both delighted and relieved to be able to report just how well it went! We clearly wouldn't have been able to achieve anything nearly so impressive without all your patience.Thanks again for everything, we hope to continue dancing". 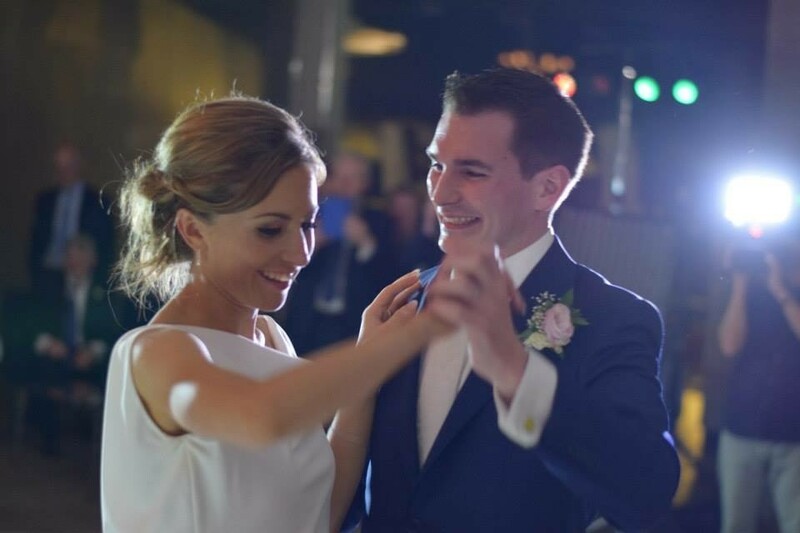 We did 2 lessons with Michelle to prepare for our first dance as we both had little dance experience and wanted to be confident for our first dance. Michelle immediately put as ease and went through a few routines with us in a relaxed and friendly environment. 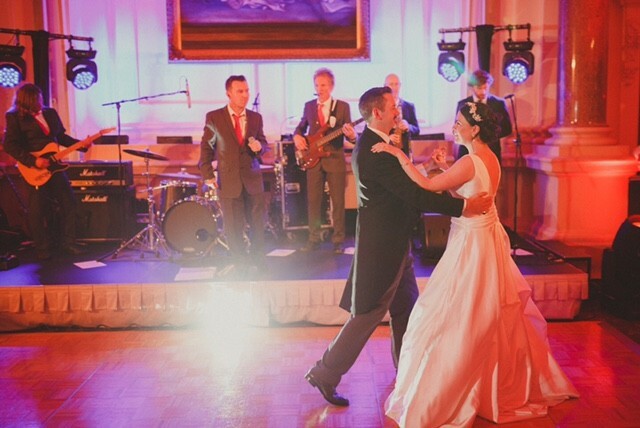 With practise, this helped us approach our first dance with confidence and it all went great. Highly recommeneded, thanks again Michelle. Pamela & Mark. We did three lessons with Michelle and we can’t recommend her enough. It’s such a lovely thing to do in the run up to your wedding and Michelle is a laugh a minute. 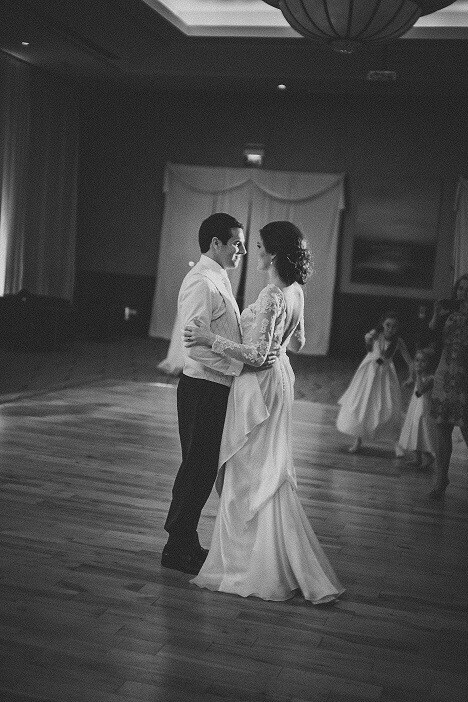 She choreographed steps that fit perfectly with our first dance song while being easy to learn and remember on the night. Michelle was nothing but encouraging which replaced our nerves with excitement for our first dance! Michelle is definitely a talented, creative and amazing dance instructor. I couldn’t recommend her enough. We had 2 days and only 2 hours of dance practice in total with her as we had work in the way and we were only able to commence a month before our wedding. She made ballroom and salsa dancing so easy and beautiful for me as a first timer. Thanks again Michelle. Michelle is amazing to work with - she made two non dancers very relaxed and created a lovely dance for our song. We looked forward to our lessons and always came away smiling. Highly recommend Michelle and thank you for making the dance lessons so enjoyable! 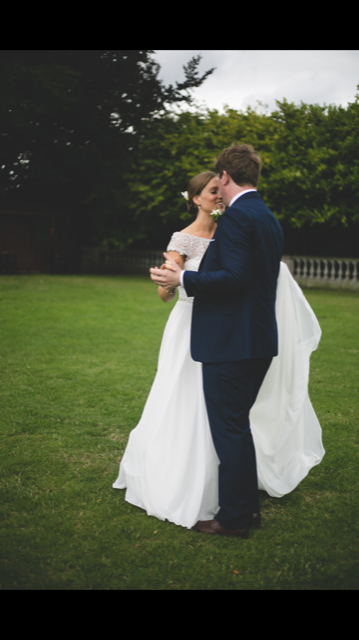 We booked Michelle for two lessons ahead of our wedding in April and we're so happy that we did. She helped with music choice, she made us aware of things we wouldn't have even thought about such as placement on the dancefloor, being aware of where the band/guests would be. She was so practical and realised our ability (or inability more like) instantly and created a dance that was easy for us to perform and remember. She put us straight at ease. Our guests were very impressed and there are audible cheers in our video at certain points of the dance. Most importantly we had a great laugh with Michelle,she is hilarious, honest in a good way. It's also a great opportunity to do a fun, light-hearted activity as a couple in the midst of all the planning. Really enjoyed it. I hope our paths cross again. Thank you Michelle. We went to Michelle for two lessons to help us with our first dance. Michelle is so lovely to work with and great fun. She breaks down the steps and builds a routine for you to your chosen song. We really enjoyed the lessons. It's amazing how much you can learn in a short period of time under a fantastic instructor. We would highly recommend Michelle. 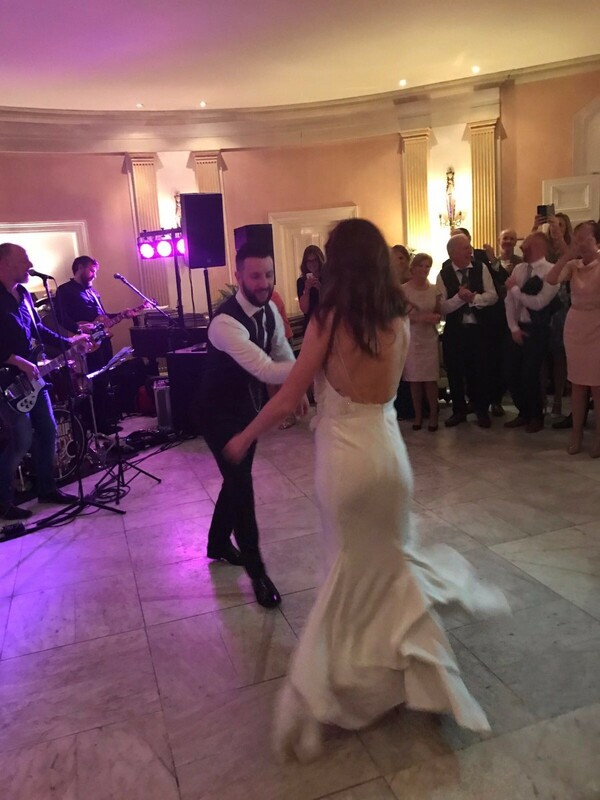 We were a little bit nervous at the thoughts of doing our first dance so we thought we better get a few tips. 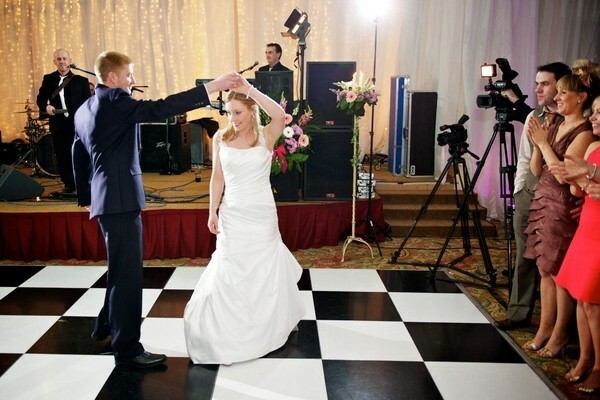 Michelle is an excellent dance instructor and put us at ease straight away. She is patient, encouraging and makes even the most flat footed person feel confident. By the end she had us confidentially dancing a fantastic routine that both surprised and delighted our guests. 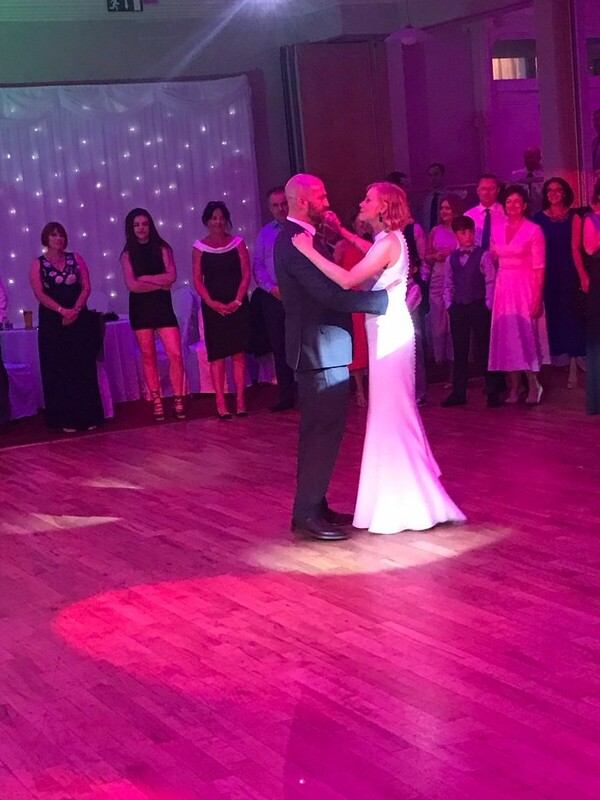 I am a very reluctant dancer at the best of times and that's putting it mildly,so it's fair to say the 1st dance was probably the part of our day I was looking forward to the least, however if you're going to make an effort, then your wedding day seems like a good reason to try. So a couple of months before the wedding, we decided we would do some lessons as a couple and see how things went, we checked some reviews online and called a few dance tutors, we got a good vibe from Michelle so decided to try out a class.. from the 1st moment we walked in the doors, we were made to feel so welcome and relaxed ,we gave Michelle our song choice and she had some great ideas for us to try, she explained and demonstrated everything so well that even I could understand, Michelle was also very patient and it all felt very comfortable, the classes were a great mix of fun and energy, we did 3 lessons in total and I'm happy to report our 1st dance went just as we had hoped it would. I even got some credit from the lads, overall our decision to book the lessons was one of the best decisions we made and I would highly recommend to anyone even considering it. We can't thank Michelle enough for all her effort and help for making it so enjoyable and helping us to have so many great memories of our day. We were so glad we got lessons with Michelle, it was one of the most fun parts of the run up to our wedding. She was brilliant at coming up with original but manageable steps and calming our nerves. highly recommended! Michelle worked with John and I to get us ready for our first dance. 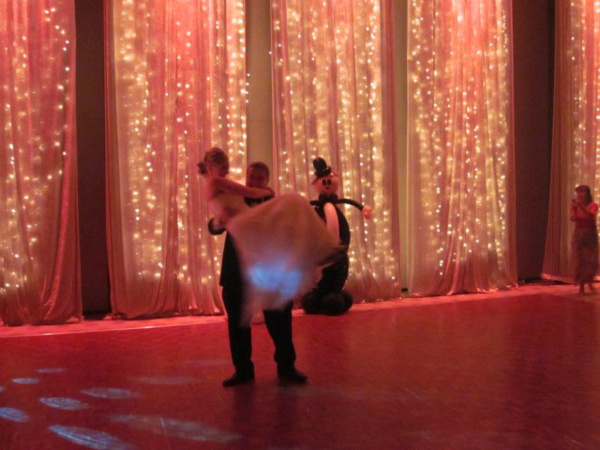 She was super patient as we had never done anything like that before and worked with us to create a fun first dance. We had a great time in the lead up and on the day and I will always look back fondly at those times having fun practicing together. She even taught my parents too. Our skills have even come into play since at other weddings- so money well spent. We would both highly recommend Michelle!! 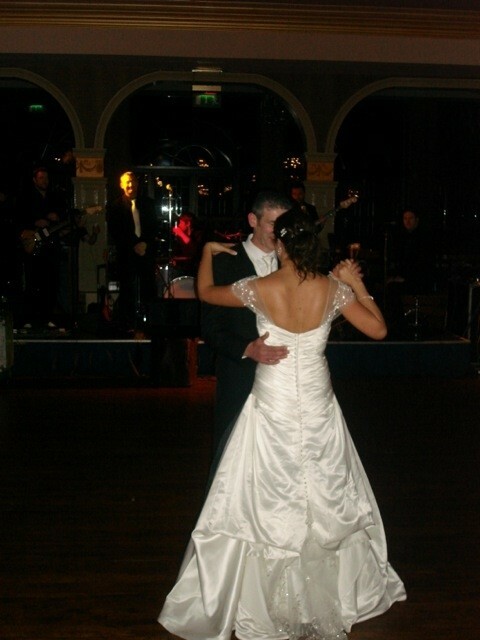 We did our dance lessons with Michelle for our wedding day first dance. We had so much fun. Michelle is an amazing dance teacher. We had so much fun learning our dance. On the day itself it went down a treat. 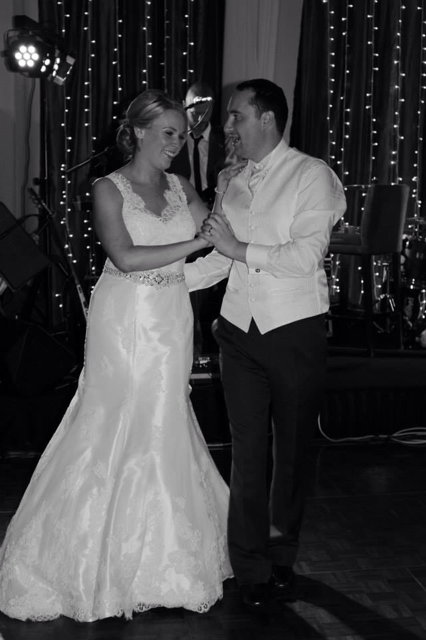 We would highly recommend Michelle to any couples who want to learn a wedding dance. 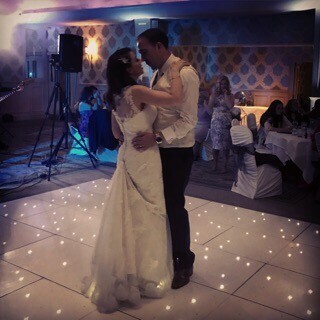 Thanks to Michelle our first dance went perfectly! All of our guests commented on how natural and relaxed we looked! She was professional from start to finish and an absolute pleasure to work with. We had great fun at the classes! I would not hesitate to recommend her. Thank you Michelle! 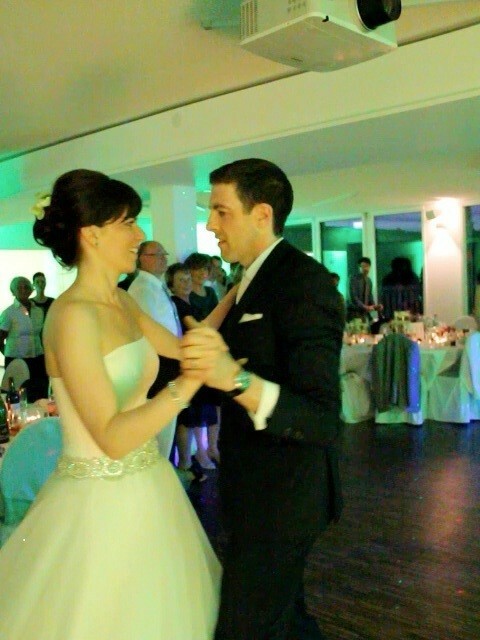 Thanks so much Michelle for teaching us to dance to our chosen song at our wedding! You were absolutely fantastic, great fun and we learned the dance in record time considering our ability!!!! An absolute pleasure to deal with and a true professional. You thought of the important factors that we would never have dreamt of!!! We are truly grateful and we couldn’t recommend you highly enough! We visited Michelle in preparation for our first dance having never danced before. In saying we were nervous doesn't even cover it! From the first moment of meeting Michelle she completely settled our nerves and set about helping us pick our first dance music and teaching us a routine. Michelle has a great knack of making you feel so comfortable and relaxed . The fun and laughs we had during the classes added to this atmosphere. Cannot recommend her highly enough , great teacher and a lovely woman. Michelle, thanks so much for your instruction. Martha and I really enjoyed the lessons. Thank you so much for your time. Martha and I were commenting afterwards how we would love to have had the time to chat more with you but both your time and ours was precious (and my steps so bad:-)) that time was needed to focus on the steps. You have a very pleasant teaching technique that made us both feel at ease. Thanks again and God bless you! Thanks Michelle for all your help! The dance went great with no mistakes LOL! Thanks again. 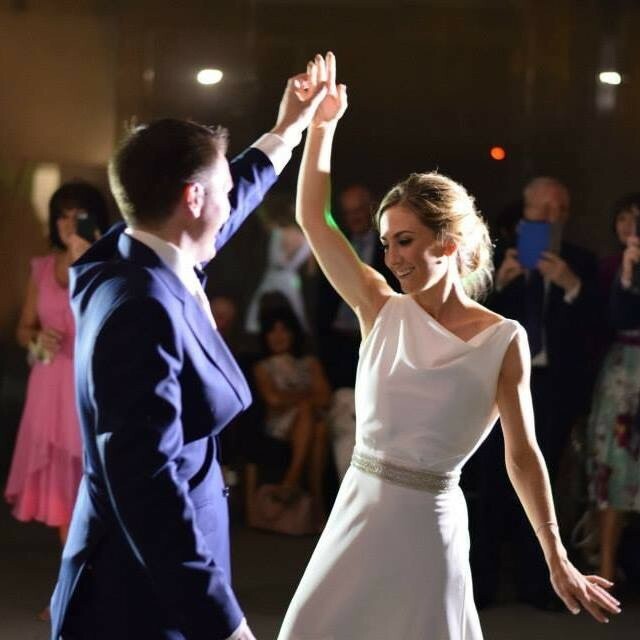 "We just wanted to write to you and thank you again for all your time and assistance in helping us to prepare for our first dance. We're both delighted and relieved to be able to report just how well it went! We clearly wouldn't have been able to achieve anything nearly so impressive without all your patience.Thanks again for everything, we hope to continue dancing." 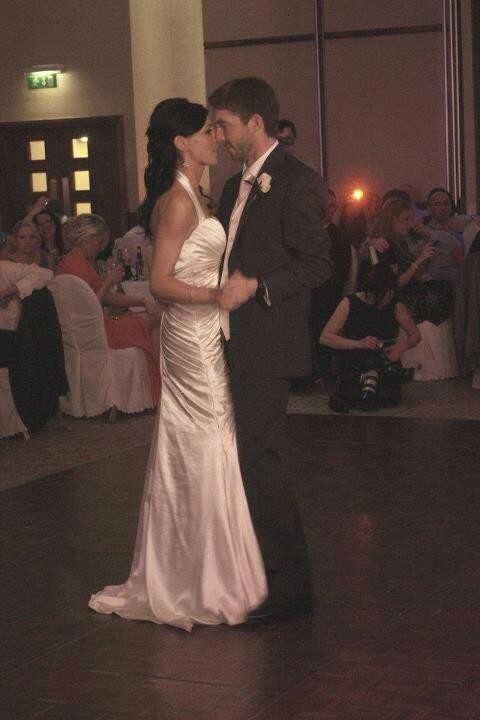 Thankyou for teaching us our perfect dance into married life as Mr and Mrs Smith. We really enjoyed our lessons with you! 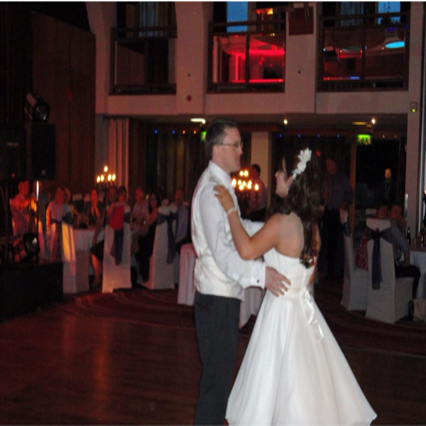 We were working with Michelle on our first dance and we have to say she was just brilliant! Her friendly atitude, lovely approach and clear explanations made is so easy for us to dance on the day after only two classes with her! 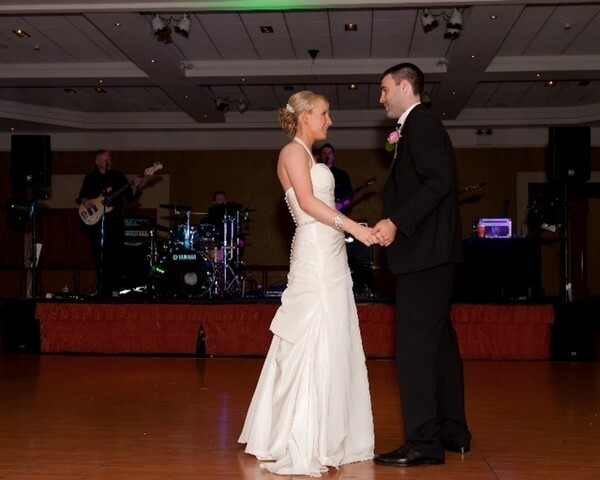 I would definitely recommend Michelle to anyone looking for a great dance instructor for their wedding day! Thank you Michelle! 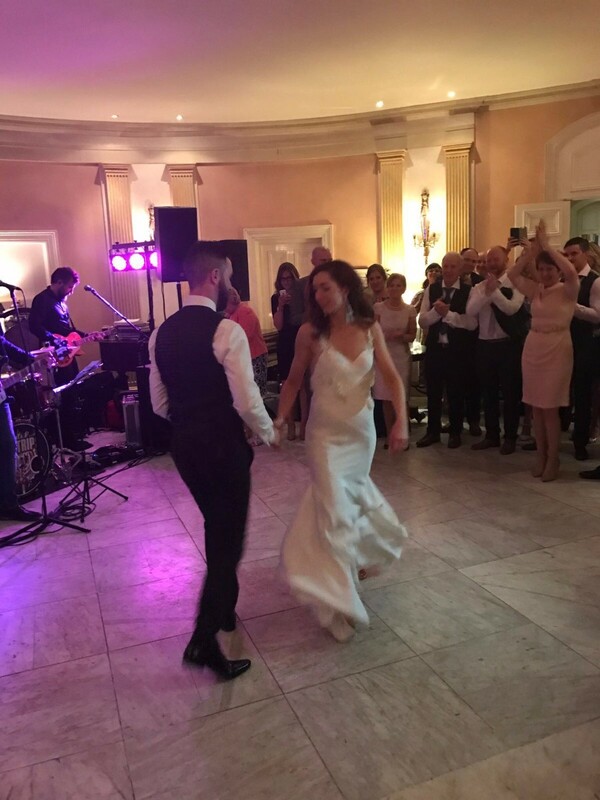 Michelle made us feel so relaxed and confident about our first dance, It was the only thing we were both nervous about for the wedding but with Michelle's lessons everything went smoothly not just in the first dance but for all the dancing for the wedding night. Thank you Michelle for everything. Michelle was great, from our first lesson she made us feel at ease and created a fun and relaxed environment. 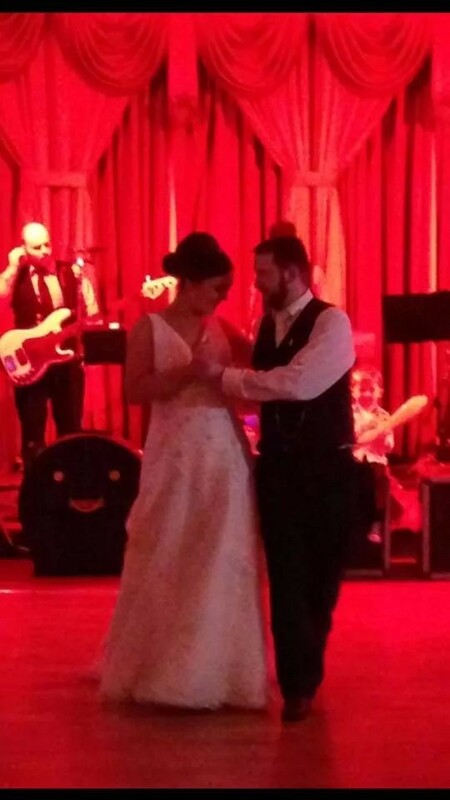 Our first dance was great and people were talking about it weeks after the wedding!I would highly recommend Michelle to anyone who wants to make their first dance a special one. Michelle was brilliant. We had 2 lessons before our wedding and our lessons really paid off. We really enjoyed our first dance considering I can't dance and I was really worried about it. Michelle gave us a simple but upbeat routine and she was great to work with. Michelle was brilliant. 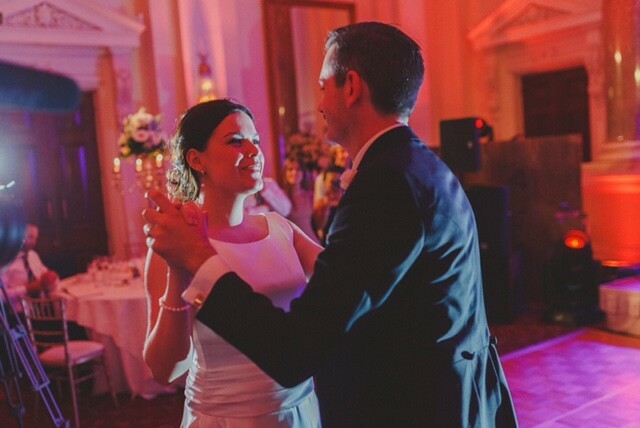 My husband was very nervous about learning to dance but Michelle listened and put both of us completely at ease. She listened to exactly what we wanted and tailored the dance perfectly. Many thanks Michelle. I might even persuade Alan to take up regular classes! Myself and my husband got Michelle to teach us our first dance for our wedding. She was just amazing. She put us both at ease and made the whole experience so enjoyable. We had such fun and we pulled it off on the night. 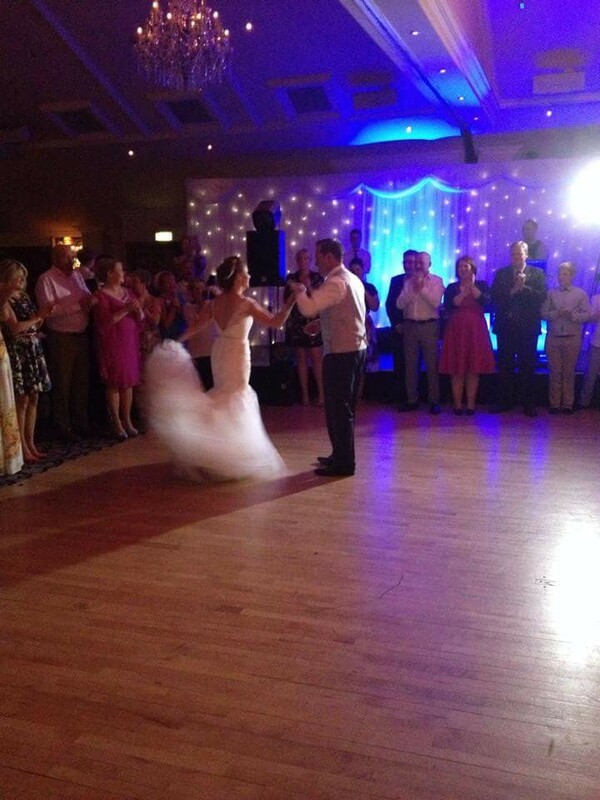 Michelle is a talented girl and I would highly recommend her if you were thinking of lessons for your first dance. Everyone was amazed with our Foxtrot. Michelle was wonderful! She was so nice, really patient and friendly and we couldn't recommend her enough. We both really enjoyed our lessons and it really made such a difference to our day! Well i said i would just have to add a testimonial for michelle, she is the most relaxed and friendly person we could of asked for. with us both with two left feet it was a big challenge and she made us feel totally at ease, giving us advise and with just three lessons she had us dancing. we thououghly enjoyed the lessons, even my now husband looked forward to going!! she is a lovely lady, warm and friendly, with a brilliant talent to teach and make people feel totally at ease. thanks so much michelle for helping to get us moving!!! I just had to add a testimonial for Michelle. The whole experience was so brilliant. Michelle is really down to earth and instantly put my husband and me at ease. We could not dance one bit before we went and were really nervous about our first dance. Our song was a waltz and Michelle was so patient with us. It only took 4lessons!! 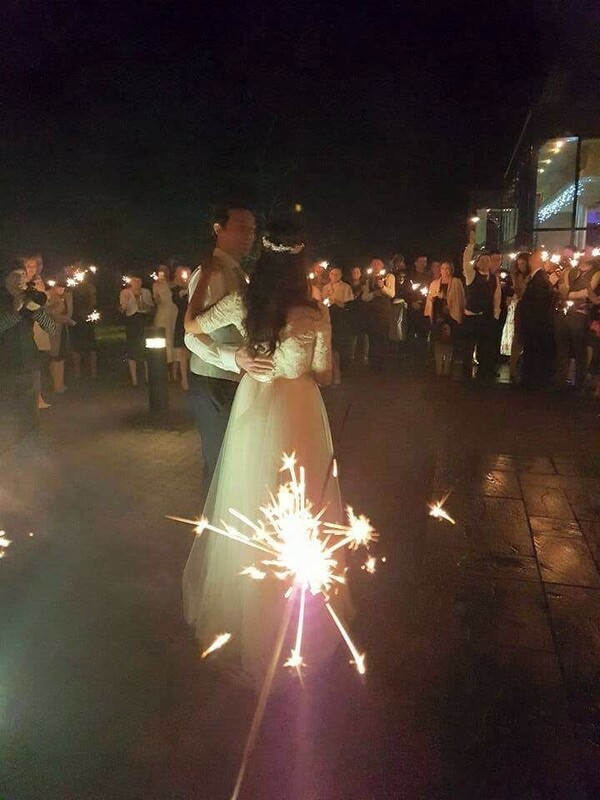 At our wedding it was a total surprise, and to be honest it made our reception!!! we had so much fun, and I can't say enough about her. She is just lovely. I would highly recommend it. I just had to add a testimonial for Michelle. The whole experience was so brilliant. Michelle is really down to earth and instantly put my husband and me at ease. We could not dance one bit before we went and were really nervous about our first dance. Our song was a waltz and Michelle was so patient with us. It only took 4 lessons!! 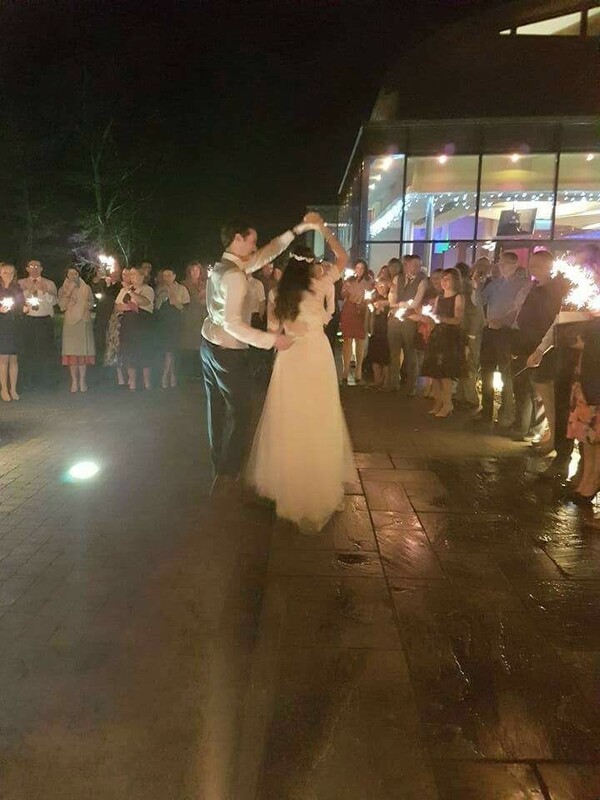 At our wedding it was a total surprise, and to be honest it made our reception!!! we had so much fun, and I can't say enough about her. She is just lovely. I would highly recommend it.